Trading in the hussle bussle of the city for a quiet country tune was the best medicine for Damian Norberry. Mr Norberry moved to Dalby, Queensland, at the start of the year and after securing work he has planted his roots for good. As a former taxi driver Mr Norberry looked into any driving positions available and landed himself on the school run with local bus company, Stonestreets Coaches. 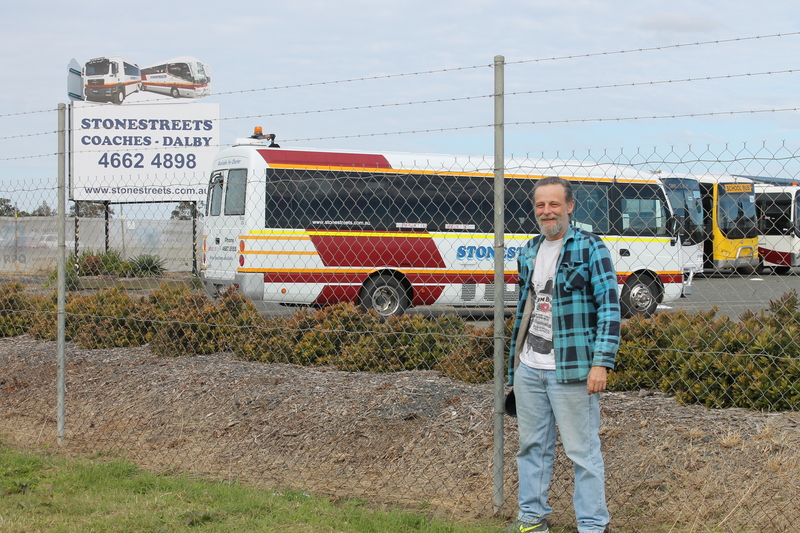 “Dalby isn’t a big place and there’s not a lot work in the taxi area, so that’s why I looked at buses.” Mr Norberry said. Since joining the fleet Stonestreets have welcomed the new driver. “Damian has settled in well. He seems to enjoy the daily school runs. The run must drivers try to avoid Damien enjoys and is happy to do in on a regular basis.” Jo Bourke, Senior Operations Manager at Stonestreets said. BEST Employment assistant Mr Norberry with his communication with his employer and makes regular contact to ensure the placement is working out. “Its great to see more people with transferrable skills looking for work in regional centres. In Damián’s case its a fresh start, and for Stonestreets- it’s a valued employee.” Kate Ottewell, Marketing Coordinator for BEST Employment said.